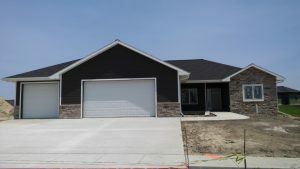 Remington Heights and Bel Air are two new beautiful subdivisions currently being developed in northeastern Kearney, Nebraska. With many cul-de-sacs and quiet streets, there will be 280 high quality homes and townhomes for you and your family to grow into. These two subdivisions are located on the west side of Avenue N between 67th and 69th Streets. 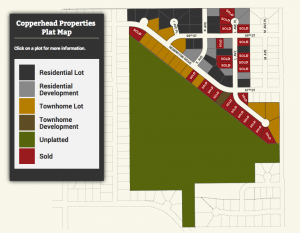 Copperhead Properties, established in 2007, is a unique development company ideally suited for current Kearney and future Kearney residents. Copperhead Properties holds very high standards on the builders it selects into its developments. Copperhead’s philosophy is to provide high quality, handcrafted homes people want to grow into, and not out of. Come learn more about our lots and homes for sale today in Kearney, Nebraska. Call 308-455-3272 or 605-770-5241.